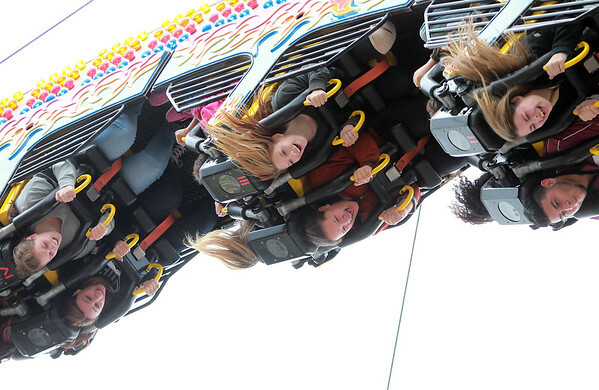 Riders on the FireBall scream and laugh in excitement as they are flipped upside-down on Monday afternoon. DAVID LE/Staff photo. 10/13/14.